A cruise ship with 1,300 passengers on board has sent out a mayday call after suffering an engine failure in heavy winds near Norway. 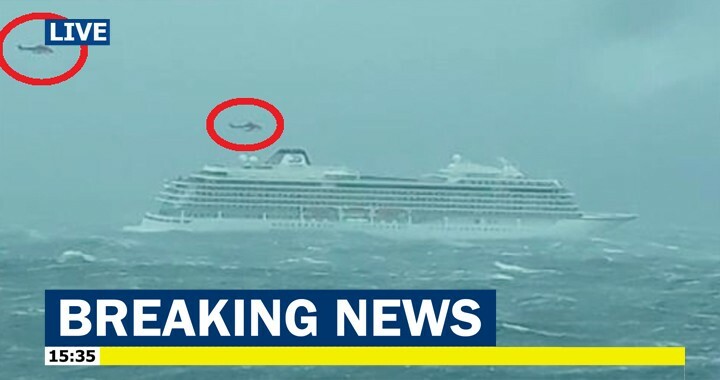 Rescue helicopters are now removing people from the ship after it began drifting towards shore when it suffered engine failure amid windy conditions. However, the crew was later able to restart one engine and the ship is now at anchor about 2km from land while being battered by waves several meters high. Passengers were hoisted one by one from the deck of the vessel and airlifted to a village just north of the town of Molde on Norway’s west coast. About 100 people had been evacuated by 1500 GMT, police said. Several vessels and five helicopters were deployed to help rescue passengers. 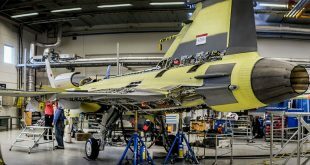 The wind was blowing at a speed of 38 knots, police told Norwegian newspaper VG. The ship was built in 2017 and belongs to Viking Ocean Cruises, part of the Viking Cruises group founded by Norwegian billionaire Torstein Hagen. According to the company website, its passenger capacity is 930.